The majority of casino gamers enjoy seeing leading software providers develop branded video slots themed on their favourite movies, and we are delighted to present you our list of top 5 movie slots that are both entertaining and offer good value for money. 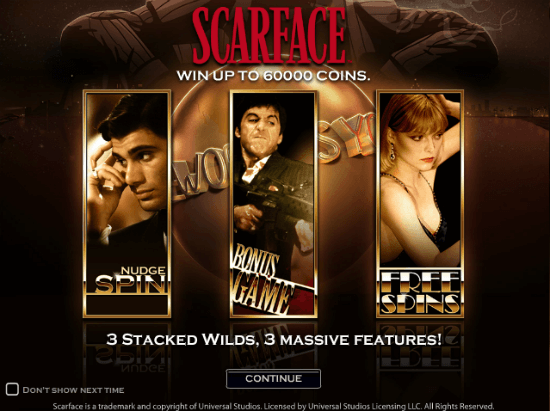 Developed in cooperation with Universal Studios and based on the iconic 1983 motion picture starring Al Pacino, the Scarface Slot comes equipped with very good graphics and great animations that bring players closer to the original storyline. Besides watching the famous characters in action on the reels, you will have a chance to land some very good payouts thanks to Nudge Spins, Stacked Wilds, Free Spins round with all wins tripled and interactive second-screen bonus game. 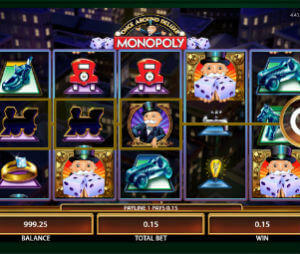 Developed by NetEnt, this slot offers an RTP of 96.8%. Willy Wonka & the Chocolate Factory is the only offline slot on our list, but it definitely deserves a place alongside its online counterparts. We love how the WMS Gaming title stands out from other games on the casino floor, with the famous Oompa Loompas dancing on the top screen while the factory keeps producing casino credits instead of candy. 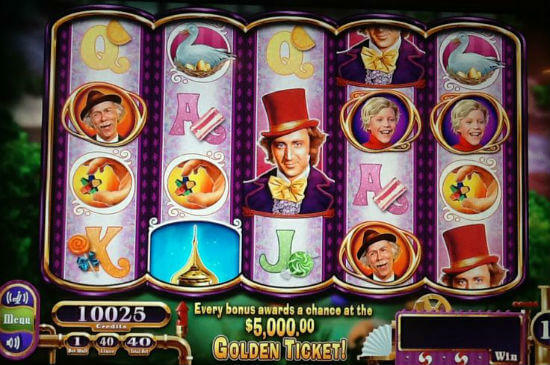 Even if it was based on the 1971 classic, the Willy Wonka slot machine is quite visually appealing, but it is its potential to award big wins that has impressed us the most. Numerous bonus features come with free spins, multipliers, cash prizes and many other perks and benefits. 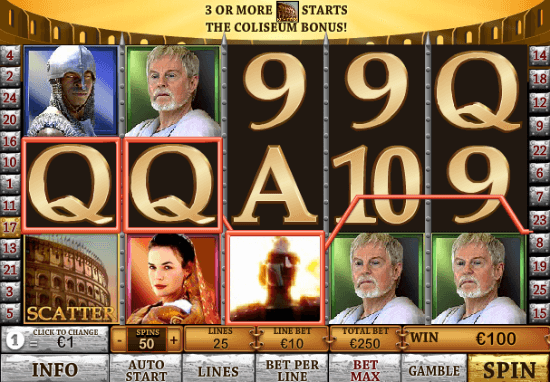 It was Playtech that was tasked with paying homage to one of the most popular films of the modern era through a video slot, and they appear to have done a very good job, nicely incorporating the star protagonists of the Gladiator movie into the five reel, twenty-five payline game. Supporting a wide array of coin denominations, Gladiator slot game can also accommodate high rollers, but all types of casino gamers will enjoy very good payouts in base play, Coliseum Bonus and Gladiator Bonus, with Gamble feature also included. 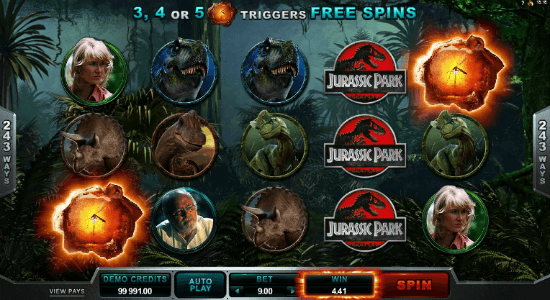 Just like the 1993 movie it was based on, Jurassic Park slot impresses on so many levels, with cinematic graphics, amazing sound effects and eerily realistic characters making sure you are instantly engrossed in the storyline that keeps on giving. You will definitely feel a part of the famous team of scientists as you progress through different levels and battle for a chance to land up to staggering 475,000 credits with a little help from Tyrannosaurus Rex, Velociraptor, Triceratops, Brachiosaurus and Dilophosaurus, with attractive bonus feature linked to each of these, and volatile T-Rex Alert adding to the excitement. 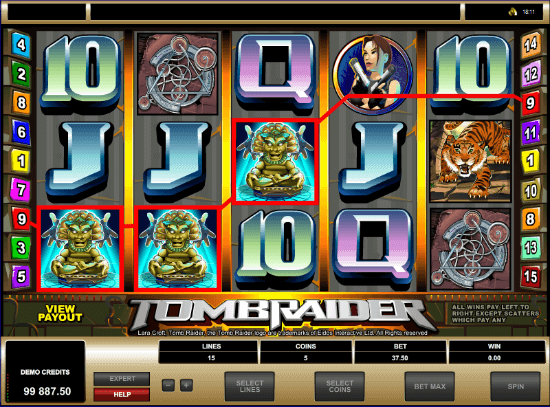 A product of the partnership between Microgaming and Eidos Interactive, Lara Croft: Tomb Raider was the world’s first branded video slot when it launched in 2004, and a decade later it remains as popular as ever, landing to the top of our best movie slots list. We obviously cannot get enough of watching the iconic Lara Croft in action, and everything gets even more enjoyable when those Wild and Scatter payouts start heading your way. With all Free Spins wins tripled and Tomb Bonus as rewarding as it is exciting, Tomb Raider slot game definitely gets our seal of approval.